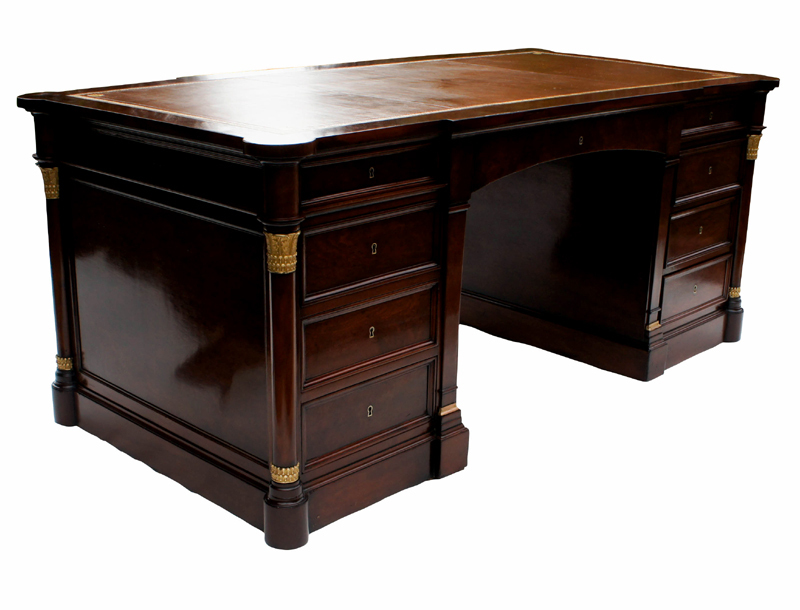 This stunning antique French desk is made from well figured 'plum pudding' mahogany ( French: acajou mouchete). 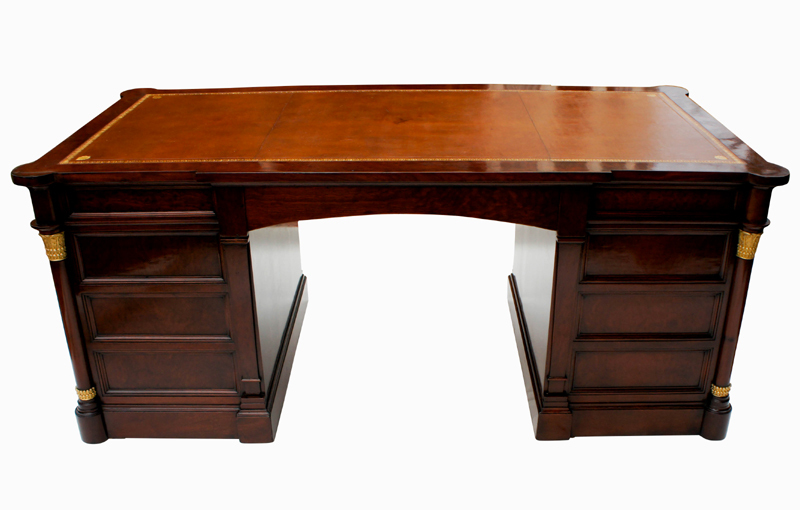 It is a very striking desk which would look stunning as a centre piece in an office or library. 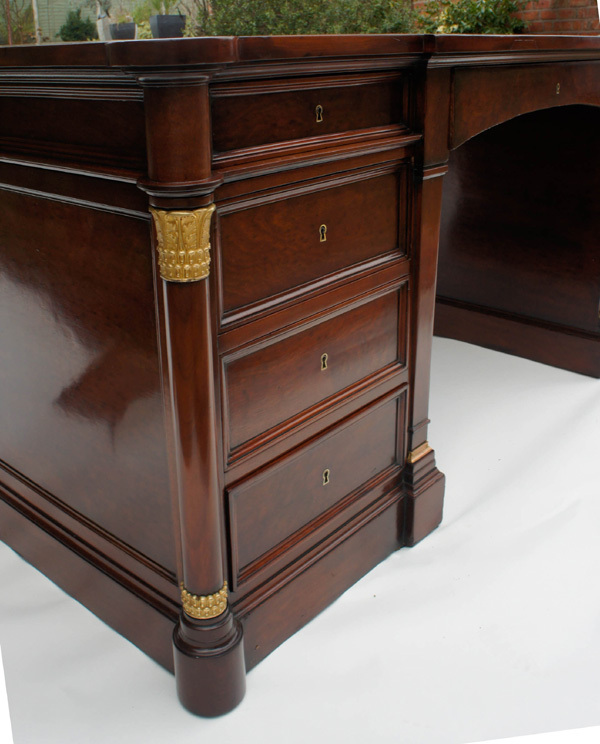 The corners of the desk are decorated will 'Egyptian Revival' ormolu mounts. 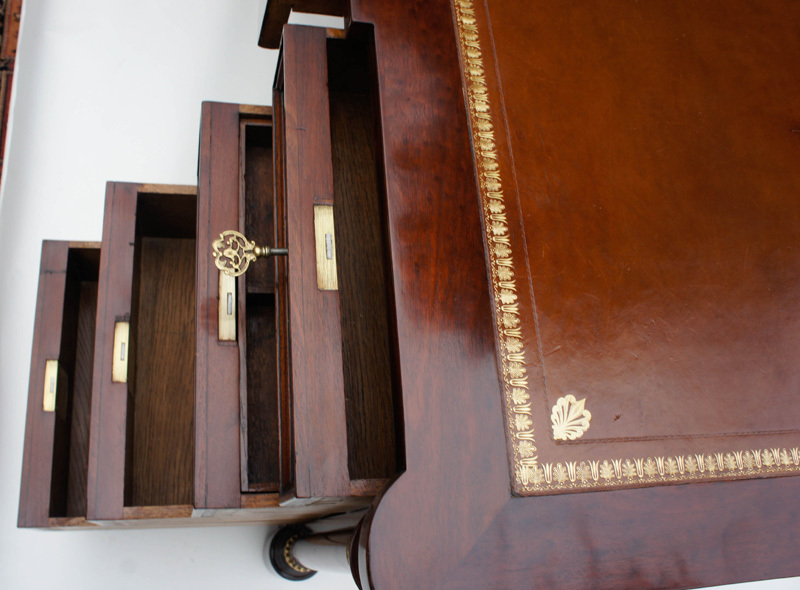 The top is fitted with a lovely old tan coloured leather writing surface with gilt and blind tooling. There are three oak lined drawers to the top and three drawers to each pedestal. 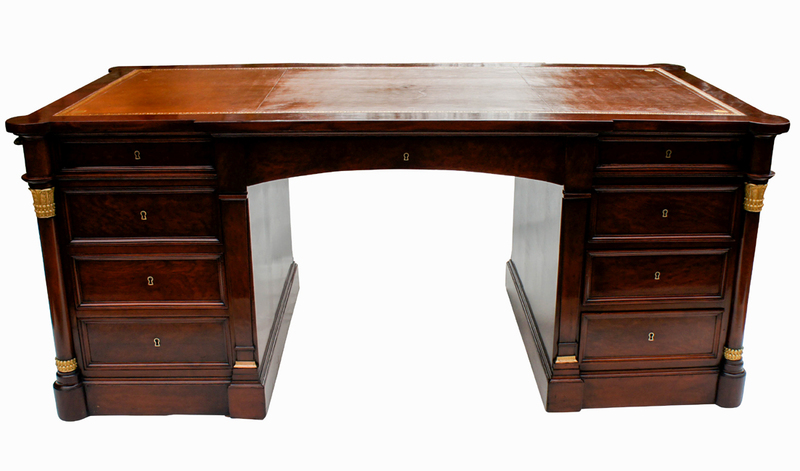 This stunning antique French desk is made from well figured 'plum pudding' mahogany ( French: acajou mouchete). It is a very striking desk which would look stunning as a centre piece in an office or library. 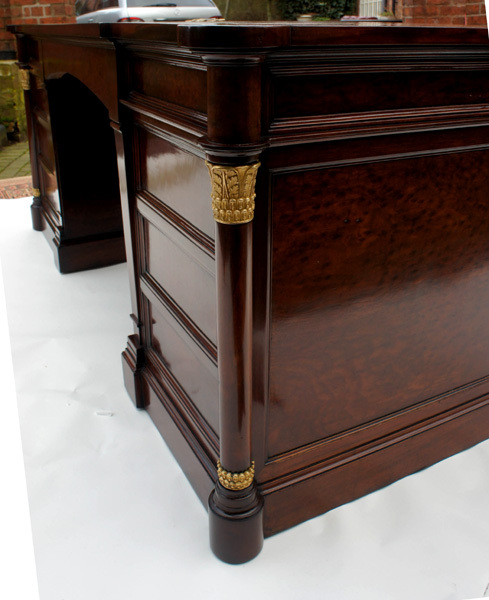 The corners of the desk are decorated will 'Egyptian Revival' ormolu mounts. 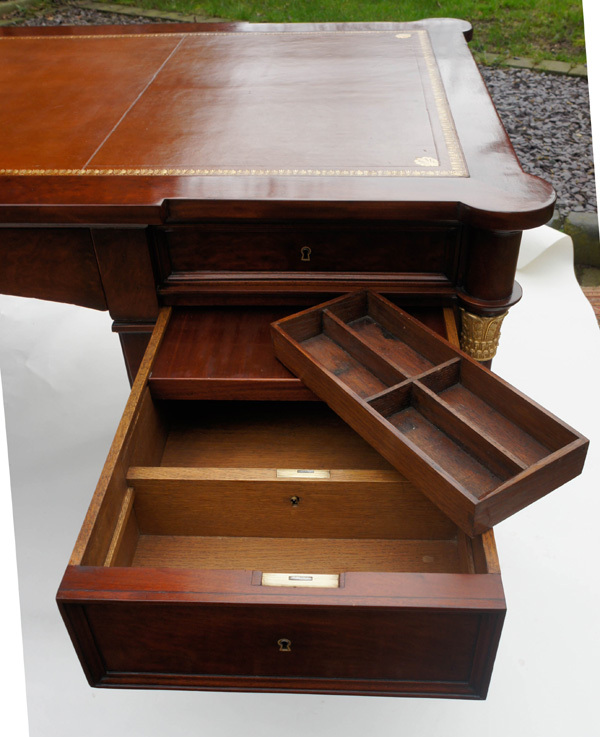 The top is fitted with a lovely old tan coloured leather writing surface with gilt and blind tooling. There are three oak lined drawers to the top and three drawers to each pedestal. 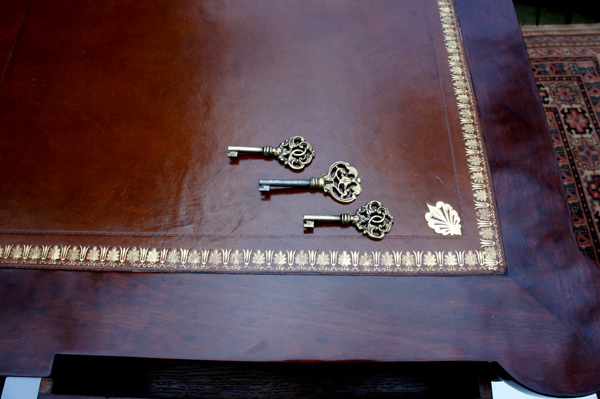 All drawers have brass locks and are opened by use of one of the three large keys rather than a handle. 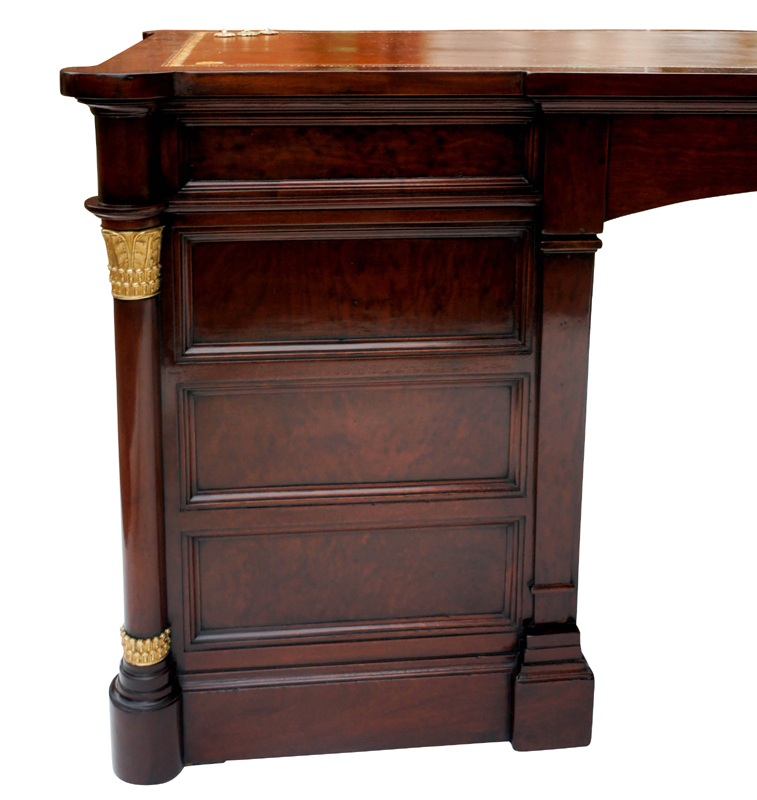 The pedestals stand on plinth bases and the desk is panelled on all sides. which has brought out the attractive rich mahogany colour. 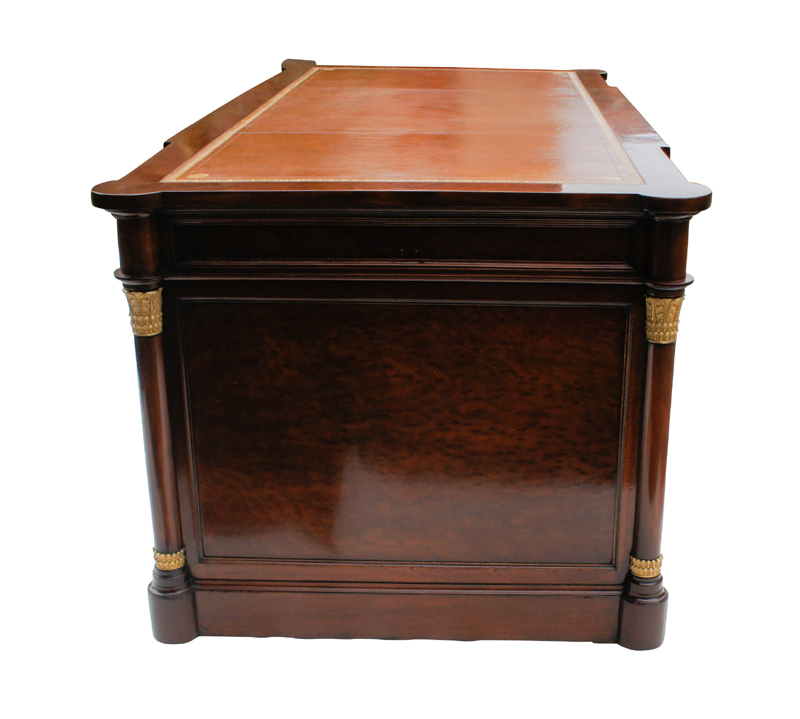 As with most pedestal desks it is made in three sections, the top and two pedestals, for ease of installation.